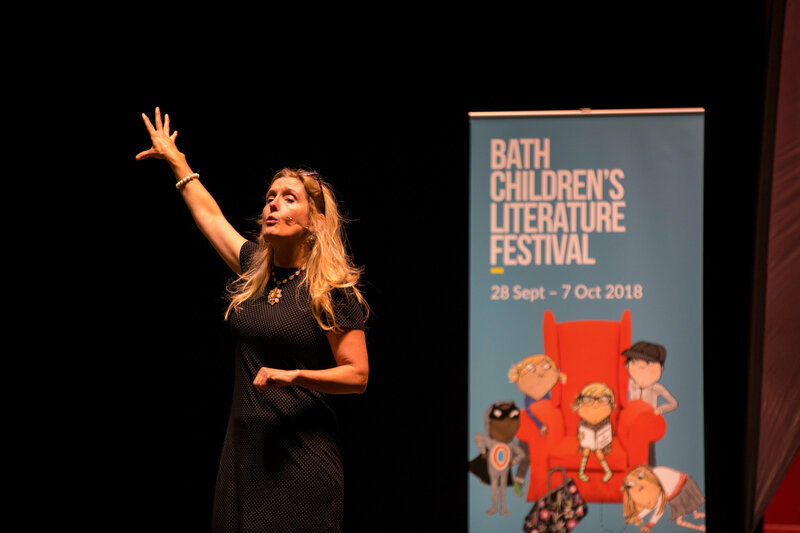 Once again, Bath Children’s Literature Festival delivered 10-days of world-class literary events to the families of Bath and beyond, with some of the most acclaimed authors and illustrators visiting the city for the occasion. 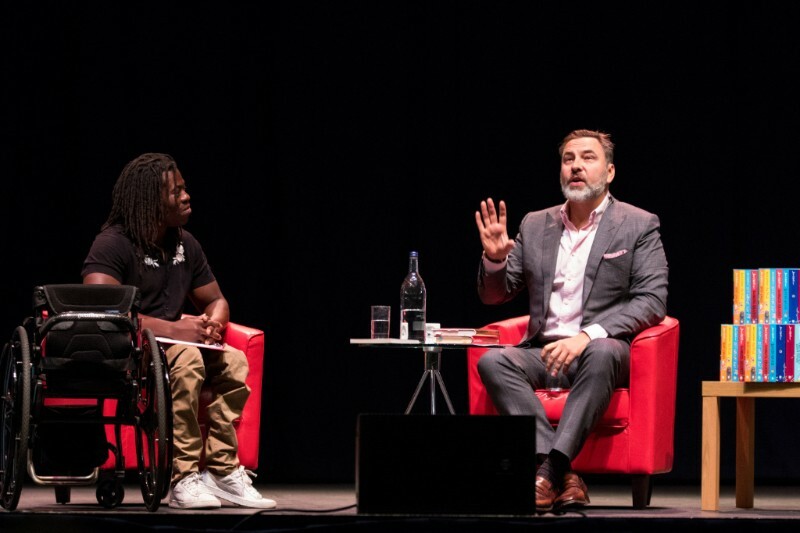 Ade Adepitan & David Walliams. Photo Credit James Cheadle. Cressida Cowell. Photo Credit James Cheadle. Celebrating the 25th anniversary of Horrible Histories, renowned author, Terry Deary, made his first public appearance in ten years. Terry was joined by partner in historical crime, the hugely talented illustrator Martin Brown, and the duo entertained the audience with live music and drawing. Cressida Cowell had the audience spell-bound. Recalling stories from her childhood in the Hebrides, she described the interesting landscapes that inspired characters from her ‘How to train your dragon’ and ‘The Wizard of Once’ series of books. Sprinkling the audience with gold dust, Cressida cast a spell over the children, encouraging them to use their imaginations and create their own stories. Last year, Cressida launched her first book in the ‘The Wizards of Once’ series; this year she introduced her newest book ‘Twice Magic’. Tom Fletcher (Left) and Harry Hill (Right). Photo Credit Jesper Mattias. Bestselling author and lead singer, songwriter and guitarist of McFly, Tom Fletcher, delighted the audience with a jam-packed event full of music and storytelling. Appearing for the first time at the festival, Tom brought the characters from his children’s books ‘The Creakers’ and ‘The Christmasaurus’ to life. 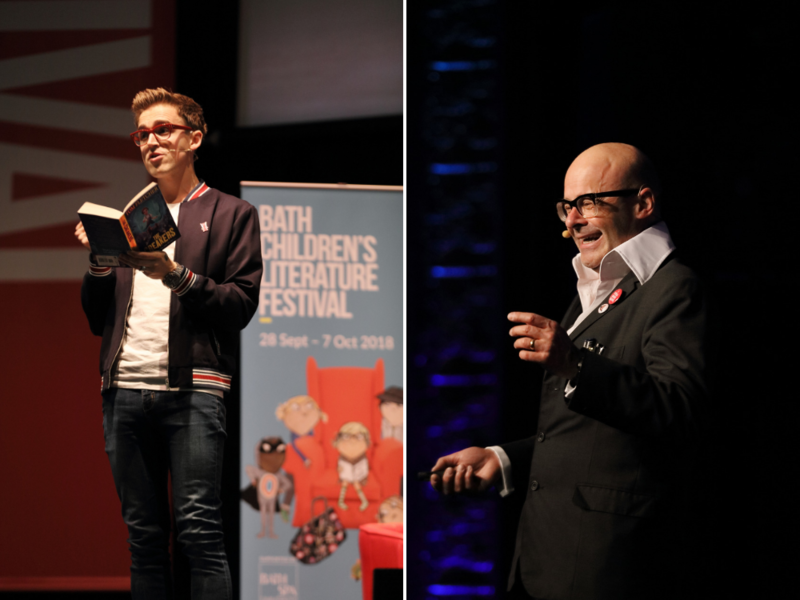 Back by popular demand, festival-regular Harry Hill, entertained the audience with stories from his latest children’s book ‘Matt Millz’, Britain’s youngest comedian. Never without a prop, Harry showered the audience with icing sugar via his clarinet, sang amusing songs whilst playing his mini guitar and encouraged children to take part in his custard-pie-in-the-face antics. Everyone left with smiles on faces and books in their hands.